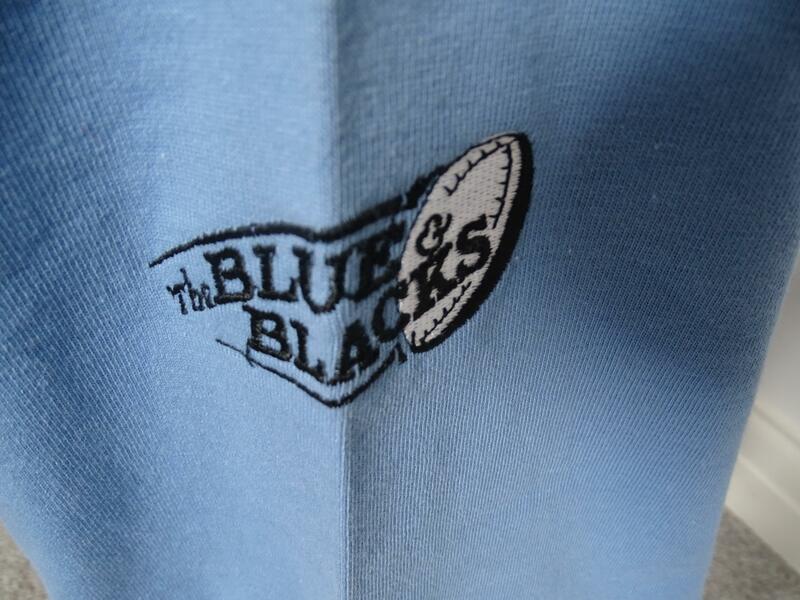 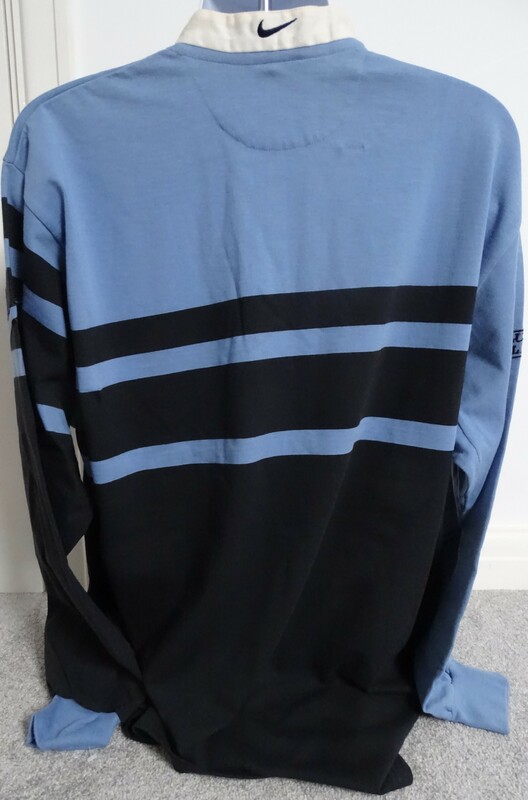 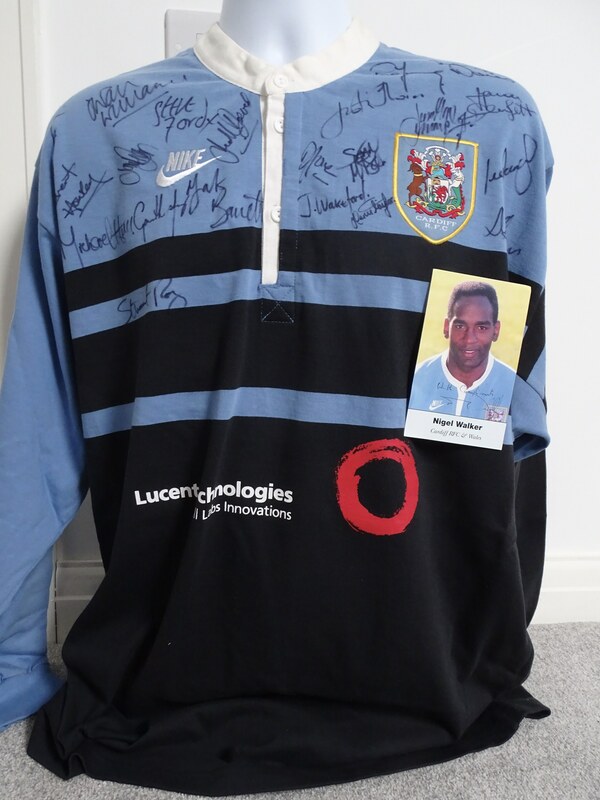 Home shirt from 1996 season. 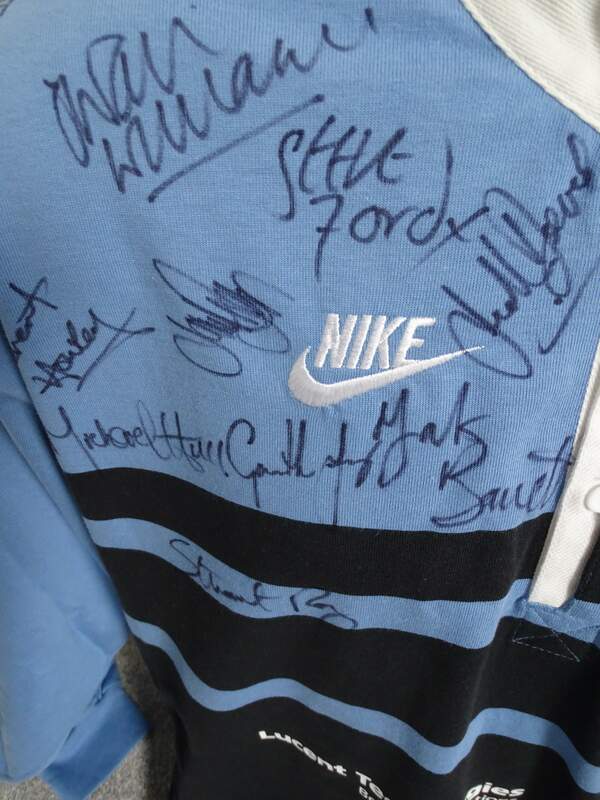 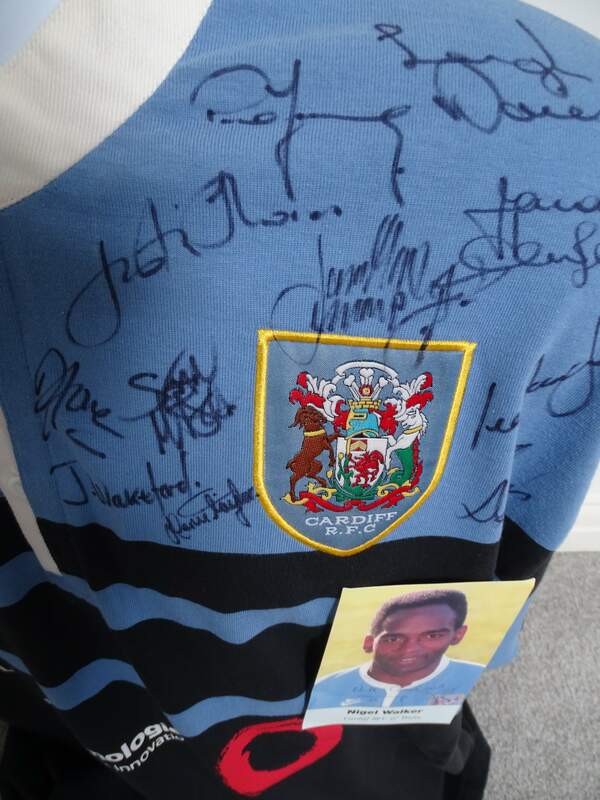 Covered with numerous autographs including: David Young, Leigh Davies, Justin Thomas, Lee Jarvis, John Wakeford, Jon Humphries, Andrew Lewis, Rob Howley, Steve Ford, Stuart Roy, Mark Bennett, Mike Hall, Owain Williams and Jonathan Davies. 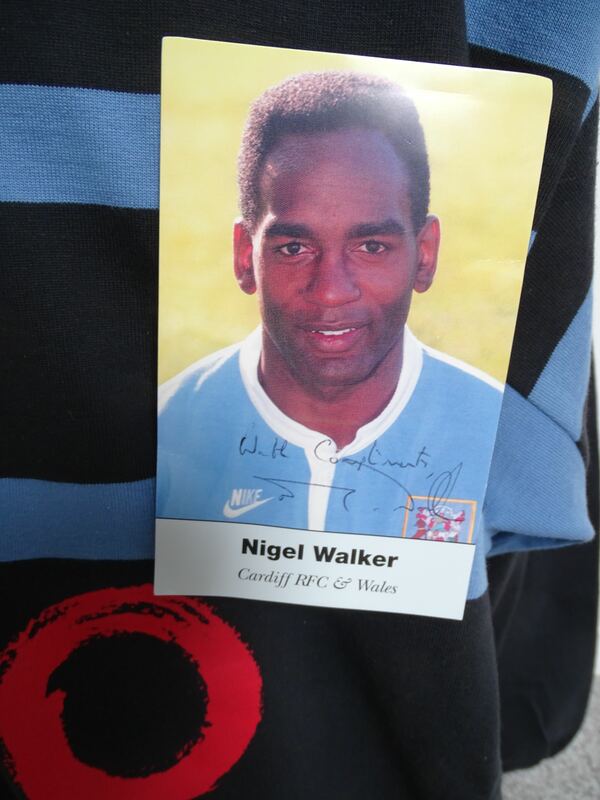 Separate signed postcard attached of Nigel Walker.